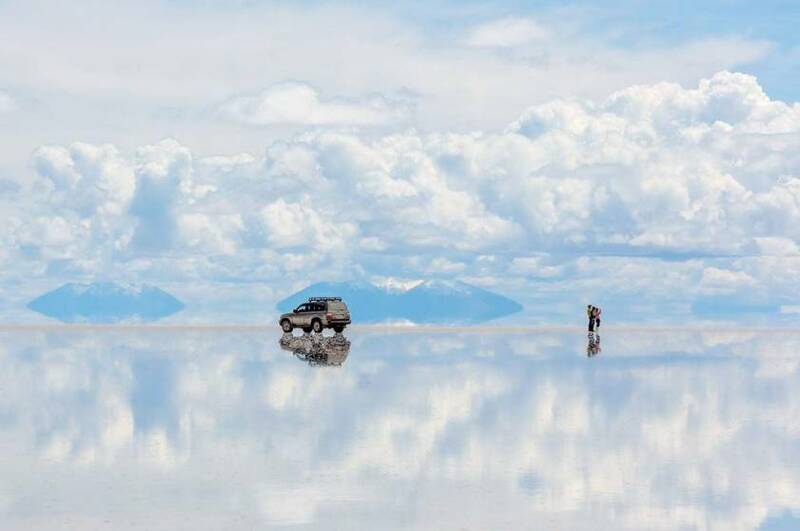 Salar de Uyuni is the world’s largest salt flat, spanning 4086 square miles (10,582 sq. km) in south-western Bolivia. Unlike traditional deserts this massive salt flat is the largest in the world. The spans are formed by addition of several ancient lakes, this salt flat becomes so reflective in the rainy season that it’s used to calibrate satellites. 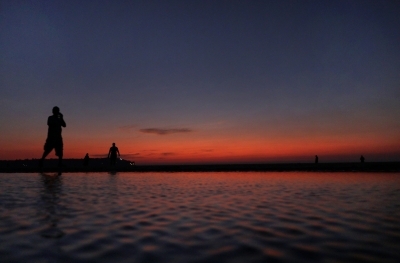 It’s effectively the world’s largest mirror and a breathtaking sight. Antelope Canyon is exquisitely beautiful geological formation in northern Arizona in USA. 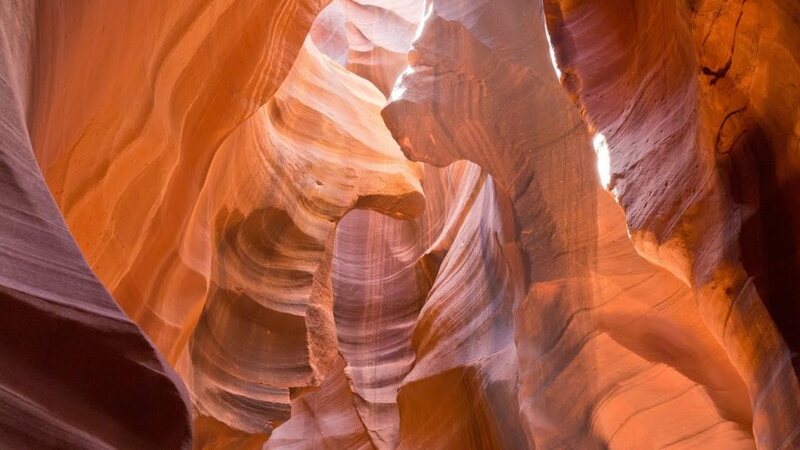 The Antelope Canyon in Arizona is a picturesque series of crevices sard to believe seems once a photographic make until you checked it out yourself. The way water carved out the crevices millions of years ago–coupled with the manner in which the light hits each wall–makes the rocks appear different colors, creating a dazzling display. Reed Flute Cave is a natural limestone cave in the Guangxi province of China. Its name is derived from a variety of naturally abundant reed that grows. 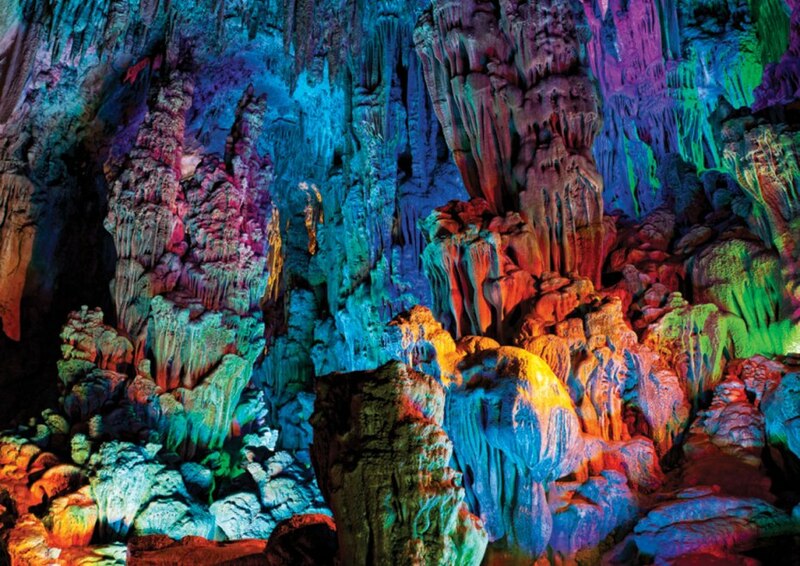 Now the Reed Flute Caves are covered by multicolored lights, turning the 240-meter-long cave system into a amazing experience. 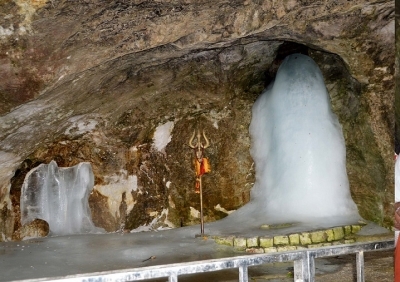 As one of China’s most popular attractions for over 1,200 years, it’s worth the visit to view these incredible stalactite, stalagmite, and pillar formations. The Great Blue Hole, located just 100 kilometers off the coast of Belize, is an underwater sinkhole that nature researchers believe is the largest of its kind. 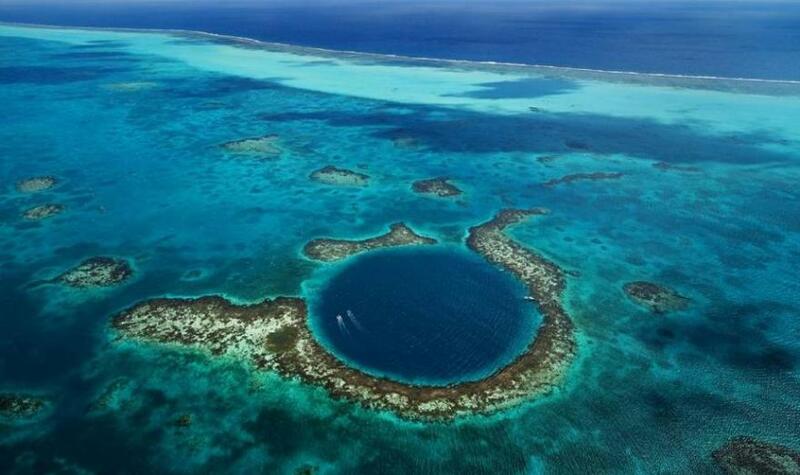 Off the coast of Belize, divers find a submarine sinkhole called The Great Blue Hole, where the water is 407 feet deep. 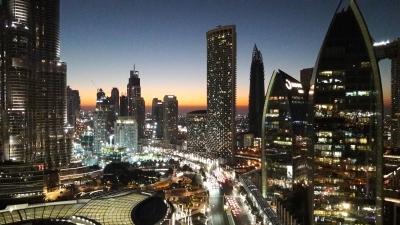 It’s over 980 feet wide and can easily be seen from above. Sprawling off the east coast of Queensland, Australia, the Great Barrier Reef is not a single reef but a group of more than 2,800 distinct entities. 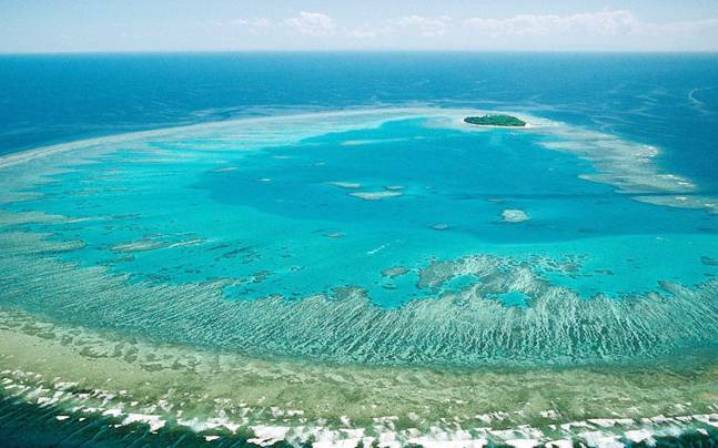 The Great Barrier Reef is the largest collection of coral reefs in the world, spanning over 1,400 miles. Due to its expansion it can be seen from space, and it’s among one of the Seven Wonders of the Natural World. It is the place to go diving, offering a one-of-a-kind display of underwater life.